Northern Health Dietitian, Katherine Healy, recently received the award for ‘patient experience’ during our second round of Quarterly Staff Recognition Awards. 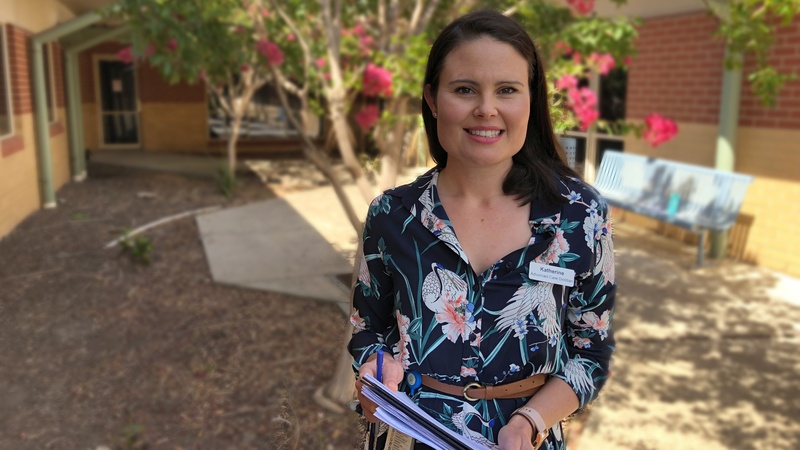 “She has a unique professional background as both a Medical Scientist and Advance Practice Dietitian, and assisted in the establishment of a novel practice dietitian-led gastroenterology screening clinic at Northern Health, the first of its type in Australia,” Rachael said. “The majority of patients are safely discharged back to their GP’s without the need for invasive procedures or gastroenterology review. Once equipped with knowledge on using diet to manage their condition, these patients no longer frequently present to the emergency department,” Rachael added. Katherine explained that in the past, patients who presented with Irritable Bowel Syndrome (IBS) symptoms would have to wait to be seen by a gastroenterologist. “There are risks associated with being on a wait list for a long time. I started seeing patients that it would be appropriate for a dietitian to see, who didn’t necessarily need to see a gastroenterologist,” she said. “The expectation was that I would be able to safely manage around 40% of these patients who came through my clinic – and that was exceeded – 68% of patients ended up having symptom-resolution and no longer required the service,” she said. “It’s really great because prior to my work here, I worked as a microbiological scientist, so I get the pathology side from my first degree mixed with my dietetics degree, so it’s like my two professions colliding – it’s such a unique role – I could never have imagined such a role would exist,” she said. “I also work on an Inflammatory Bowel Disease (IBD) diet clinic. They are really at-risk patients. It’s really great that the patients here have access to this clinic – it’s exceeding demand,” she said. Katherine started working at Northern Health in early 2017, but ten years prior to her commencement, she was a student here. “It was a really positive experience, and I said during my interview how lovely, welcoming and supportive it was when I studied, so it was quite enticing to come back,” she said. “It’s definitely also the profound impact I can have on these patients,” she added. On winning the award, Katherine said it was really nice to be recognised for her hard work, but it came as a shock.